 A very clean and simple blank design, doing some painting or put some stardust ornament around the bags to make it glittery adorable.  Perfect for holding treats like candies, mini toys, flower, coins or anything you want, and also a great party favors for your best friend and a goody-bag for each children. 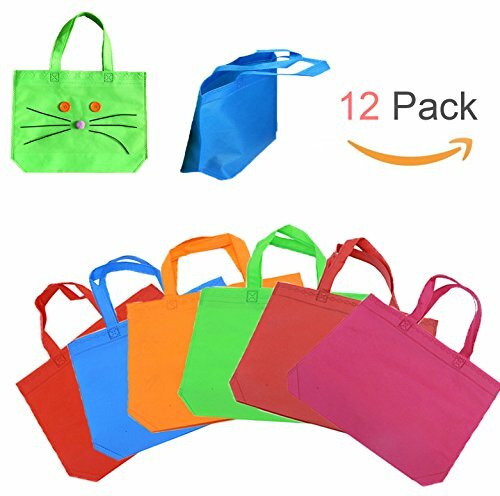  Use these handy party bags to hold arts and crafts, party favors, holiday treats and more,especially in different occasions and holidays like Halloween,Mother\'s Day, hanksgiving Day and christmas or even birthday party.